A former Midwest League MVP took over the RBI lead in the Arizona Fall League after driving in seven runs for the Mesa Solar Sox on Monday. Toronto Blue Jays prospect Ryan McBroom drove in all seven runs on homers (a three-run homer and a grand slam). He has 10 RBI through his first five AFL games. 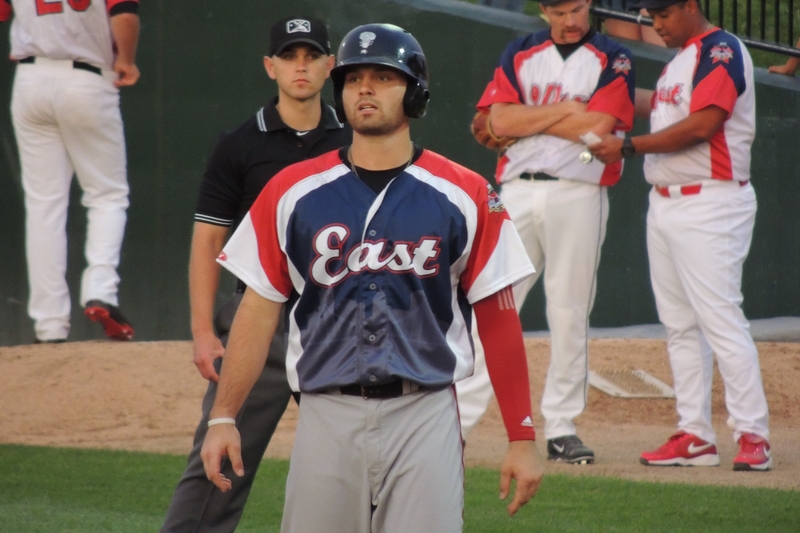 McBroom was named the Midwest League’s Most Valuable Player in 2015, when he batted .315 with 12 HR and 90 RBI in 127 games with the Lansing Lugnuts. This entry was posted in 2015 All-Star Game, Arizona Fall League, Lansing Lugnuts, Midwest League. Bookmark the permalink.